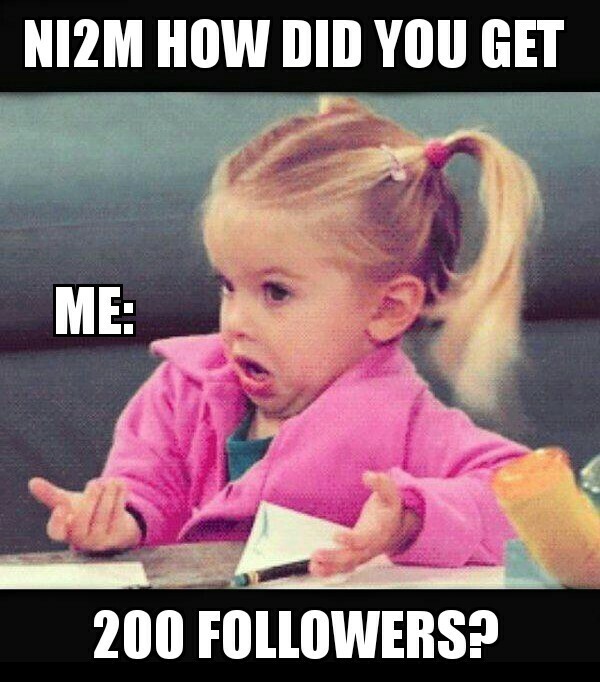 The above is a result of me having fun with a meme generator but seriously I have no idea why 200 awesome people would follow my blog but I very much appreciate it! You are all awesome even if you don’t follow, if you like or comment on my posts or even just read them it means so much to me that you’ve taken time out of your day to check out my work. I don’t think a lot of you guys realise how brilliant you are. When I read your posts or a comment and see what you deal with and how kind you are really inspires me. You’ve given me a place to belong, a safe space to share my feelings and hope for my future. I may have started this blog but each and every like, comment or follow has brought it to where it is today. So Thank you all so much.